Accepting the grinding nature of bicycle commuting is yet another stage of my return to it. Friday afternoon gave me a good dose of the grind. The first rides after a protracted absence always seem wonderful, and all the indignities of sharing the road are easily forgotten. However, reality is that cycling is not a perfect commuting solution, but rather it has advantages over others. Being able to overcome those situations where it is not advantageous is the key to success. The weather was typical San Diego-fine Friday, but checking weather.com told me that I would be facing about a 10mph headwind on the ride up the coast. I've had worse, but I was younger too. I searched for the mental image to guide me (I also searched for the right music to listen to beforehand. Oddly, I chose the Monkees. Say what you will, but "I'm a Believer" will get you over a hill or two. Oh, I listen to the music before I leave. I don't listen when I ride. It interferes with my singing), and it was that one from wood shop class in junior high. The shop teacher always says the same thing when you are sawing a piece of wood--let the saw do the work. That is, as you move the saw back and forth, you don't also need to press down on it. So, as I grind along into the headwind, I think, "let the bike do the work". 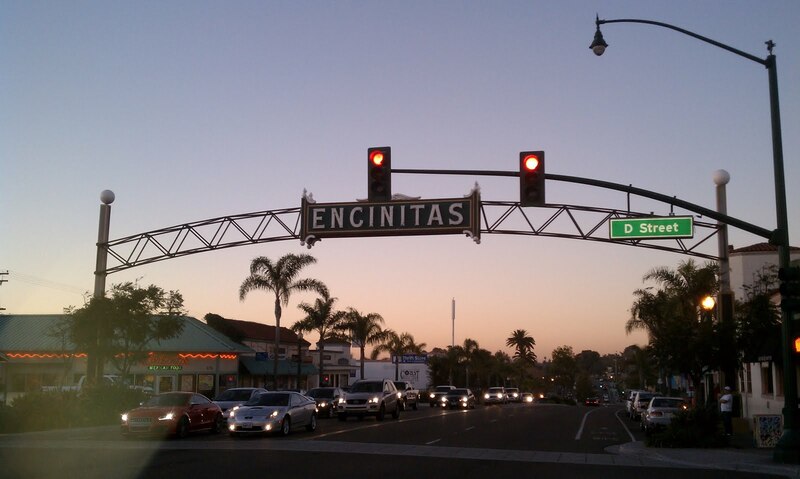 I didn't really burst into the ride, and auto traffic was pretty backed up on the coast. It's a little like riding in a tunnel when it's like that, with the added danger that the left-hand wall can suddenly turn into your path! 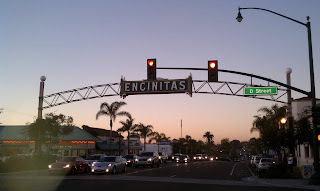 I negotiated my way with only a few minor scares, and once I was through Encinitas I started to feel okay. In fact, the rest of the ride was quite good, though quite dark, and visions of the two Stone Lukcy Bastartds in my 'fridge were driving me on. Now, a new week dawns, full of indignities and irritations that I'll try my best to see as challenges. If I can collect enough Lukcy Bastartds during the week, it might just end with another happy Friday!